This is what I received for Kotak Securities goodies in their Twitter contest. 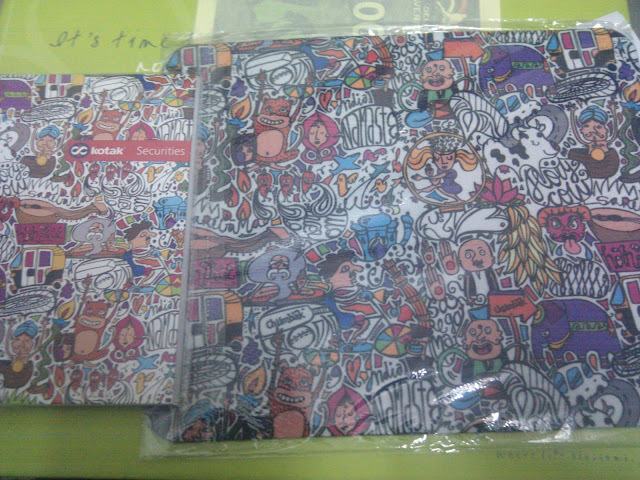 It's a small notepad and mousepad with awesome picture. It's a nice picture depicting India day to day life! Thanks Kotak Securities. It’s great to hear that you liked the gift. Stay connected to @kotaksecurities on Twitter for exciting activities and many more amazing prizes!